At Deacon & Humble, we are passionate about delivering exceptional consumer experiences. Our outstanding track record, industry leading marketing suite and innovative approach ensure we are always at the cutting edge of residential sales and promotion. Today's consumer needs a trusted resource that can separate signal from noise and help them navigate the complex process that real estate has become. Engaging our services will provide a focused strategy based on in-depth market knowledge and current research. An experienced team with a proven formula. "Obviously there's lots of emotion when selling a house you've owned for 25 years, you helped by keeping everything clear and easy to follow. We really appreciate the information you provided over the year since we first contacted you, it was just enough and we weren’t bombarded. When it boils down to it, we wanted to maximise the price we received, we needed to work on the presentation, you needed to have first class marketing (the 27 x photos of the house were superb). As you predicted, all of the potential buyers knew the history of the house before they arrived and it did look fantastic. Selling before the first Home Open and for more than the asking price was the icing on the cake! Kieron & Connie, Woodvale. “Thank you for the professional manner in which you handled the sale. We are really privileged to have met and known you, all the way from first purchasing the property through yourself when we were still staying in the small 1 bedroom apartment in the city up until now. We wish you and your family, nothing but the best.” Tunji & Cosmore, Kingsley. "Darran Deacon, from the first time we met, through to settlement, dealt with us with complete professionalism and customer care. He kept us constantly informed of developments, personally keeping in touch to ensure we were aware every step of the way. Darran was committed to ensuring we received excellence of service, above and beyond the call of duty, and nothing was too much trouble. He was a pleasure to deal with. 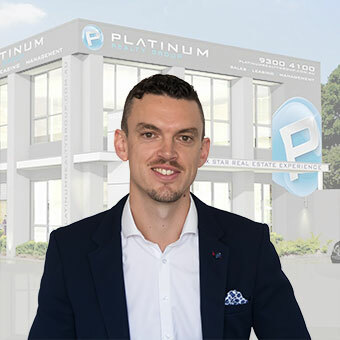 I would sincerely recommend Darran to anyone looking to buy/sell a property as he is the most competent and reliable Real Estate Agent we have dealt with. Many, many thanks Darran." - Andrew & Marion, Edgewater. "Darran, Thanks for selling my home. It was a pleasure working with you!!! Loved your thoroughness in communication about progress of sale. Thanks again Darran. All the best. See u around." - Emilie, Edgewater. Christine and I would like to thank you for selling our property at 22 Hersey Parkway recently. We found you to be professional, approachable and organised in the way you went about your work which for busy, young people like Christine and I is a blessing! We particularly appreciated the regular updates leading up to the sale and prior to settlement in terms of what we needed to be aware of and have organised. It took the guess work out of it for us. Christine and I would be pleased to recommend you as a rep to our friends, family and colleagues. - Jon & Christine, Landsdale. “Once again, thank you very much for all your hard word and spot on advice. George and I are very happy with this result and so soon in the process.” - Miss. Atkinson, Hocking. “Darran, thank you for a quick and satisfactory sale of the Pinner Court property and for your professional service..” Mr. & Mrs. Burns, Kingsley. “Thanks for your assistance with everything to do with the sale of our house. You have been great and we will recommend you to anyone we know.” - Mr. Proctor & Ms. Hastie, Tapping. “Darran Deacon handled the marketing and sale of our property during a difficult time for Real Estate sales (winter and a down-turn in the market). He kept in touch with us at all times regarding feedback and interest from retrospective buyers. We were advised as to the changing conditions in the market and action to take, always with our interests taken into consideration. We believe that the price achieved for our property was completely fair for the home. We would have no hesitation in recommending Darran to other prospective sellers in the Woodvale area" - Mrs Broun, Woodvale. Available to view by appointment. Contact Deacon & Humble. Contact Deacon & Humble for a property information pack. Subject to Sale Offer received - Finance & Cash Offers can still be presented. UNDER OFFER FIRST WEEK. MULTIPLE OFFERS PRESENTED. HOME OPEN CANCELLED - CONTRACT SIGNED! SOLD FIRST WEEK WITH DEACON & HUMBLE! CONTACT DEACON & HUMBLE FOR A TIME TO VIEW! IT’S BRAND NEW AND JUST FINISHED - READY TO MOVE INTO!